This oil cleans and conditions grenadilla & other wooden instruments. 100% natural organic oils and petroleum free. 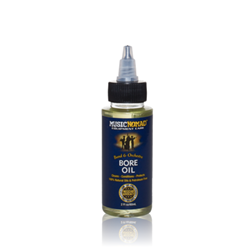 Great for wooden bore instruments and any unfinished wooden parts helps restore wood and prevent drying and cracking.